People are pretty predictable. When we talk about someone, we can generalize about them because they act in a consistent way. Your coworker may always crack a joke in tense situations. Your parents will talk about the weather. While we like to feel original and unboxed, we are largely scripted. We act out of habit and it allows people to see patterns in others. It is why we can think of and refer to someone’s characteristic behaviors. Yes, sometimes people will surprise us with a decision or action that is out of script. But for the most part, we can safely bet on someone’s responses to a situation. Our habits are powerful in helping us navigate this turbulent world with all of its unpredictability. However, none of us is a complete package. If you know someone who is a perfect human being, let me know and I would like to meet them. The reality is that we all have strengths that allow us to thrive and succeed when we apply them. The equal reality is that we all have blind spots. These are things we cannot see though they are there. 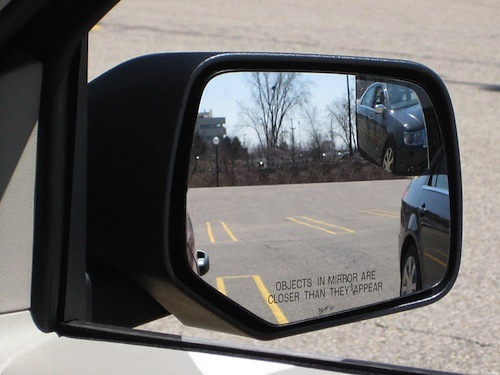 The blind spot on a car in our rear side mirrors forces us to have to check over our shoulders before making a turn. Our limited peripheral vision as humans requires us to turn our heads to see what is behind us. Our blind spot is not something we can necessarily fix. It is simply an area we have to manage. Likewise, we have blind spots in how we work and get things done. Our scripts can be comfortable, yet they are only one way of looking at the world or approaching a problem. They don’t always work. So, if you have a blind spot, how can you see? The answer is you cannot. That’s why it is a blind spot. You have to have someone who can help you see what you are unable to. It may mean getting out of your own way and letting someone else take over. Or it can mean asking for help to see something that you are unnatural at. You may not detect that a relationship needs to be broken for your own good. A person who has more clarity can help you make that decision. You may not understand that you are thinking too small. Someone with foresight can expand your vision and help you aim higher. You may get caught in the weeds and obsess about details that do not matter towards the goal. A coworker can help you get unstuck and keep your eye on the goal. You cannot overcome your blind spots. You can recognize that you have many of them and partner with people that can help you see. It is a secret to leadership. If you fail to do this, you will always be limited because you will keep acting out your script without someone to help you avoid the failure that comes from your weak areas. How do you grow a business? Or start a business? Or succeed at projects? You have to use your strengths and manage your weaknesses. You can’t do it alone. That would be the ultimate blindness. Know your strengths and be sure to understand who can help you see what you cannot otherwise see. 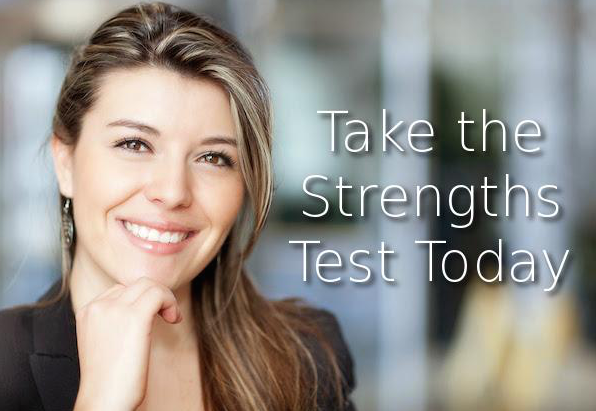 If you had to guess, what blind spot is keeping you from getting better results?